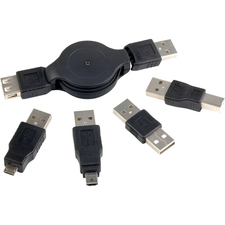 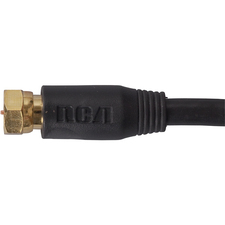 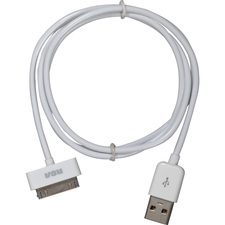 RCA makes it easy to sync and power your iPod: just plug it in, connect it and go! 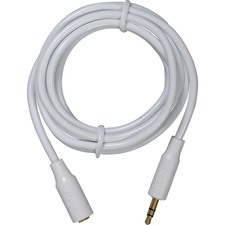 Available in black (AH740BR), white (AH740R), and slim-package design (AH740PR-white and AH740BPR-black). 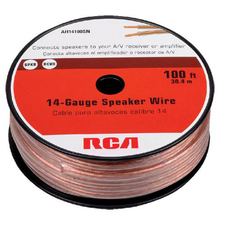 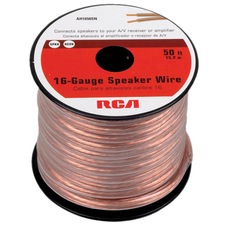 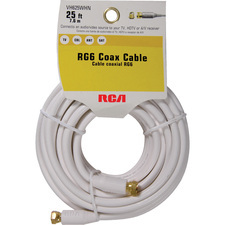 This 50 foot 14 gauge speaker wire works great for connecting speakers to amplifiers or receivers. 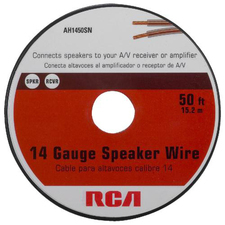 The spool packaging makes it easy to dispense.